When starting something new, or going to a new place, you may have some questions about how things work, what to wear or what to bring. We’ve done our best to answer some of the most frequently asked questions. If something isn’t listed below or you’d like some more assistance don’t hesitate to email us at info@triyoga.co.uk or contact us by telephone. Where is triyoga and how do I get there? triyoga has locations across London. Information about where to find all of our locations and how to get to us can be found on the contact us page. Can I park at triyoga? For Camden, on weekends non-residents could park in nearby Primrose Hill (no weekend restrictions) and walk across the canal. You can also park in the Morrison’s car park which is a 2 minute walk away. For Chelsea, Soho and Covent Garden; think positive and good luck finding a meter! Though there are car parks near both Soho and Covent Garden. Do I need to book classes before attending? You don’t have to book in advance for our classes but we highly recommend that you do to secure your place as many of our evening and weekend classes can get busy. 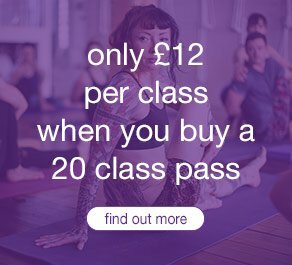 The majority of our classes have 70% of places available to book online and the remaining 30% for drop-ins (only becoming available 20 minutes before the start of the class to book only in-centre). No, but there is the option to book all scheduled yoga and Pilates mat classes online. Booking is recommended for evening and weekend classes which tend to get busy. Please arrive at the centre at least 10 minutes before the start of the class to sign in and get settled. Yes, we have men’s and women’s changing rooms and showers at all our centres other than Covent Garden. Towels are available for £1 from our front desk; body wash and hair dryers are provided. We have locker facilities at all centres other than Covent Garden. At peak times you may find all the lockers in use. If this is the case you are able to take valuables into the studio with you. Please place any valuables out of the way at the back of the studio and ensure all mobile devices are completely switched off.